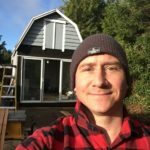 Habitat is a unique new space for coaches and trainers looking to host Ucluelet / Tofino retreats. Revisit the lessons of the day on the deck in the sun. Share inspiration from the previous session over an early morning coffee with an enthusiastic student. Habitat is a unique retreat centre near Tofino and Ucluelet BC. Habitat offers you the opportunity to cohabitate with your students, offering additional learning and growth opportunities that make your training retreat more potent. As marketing and creativity coach myself, I am committed to learning and development. As Habitat’s head host I can offer turnkey accommodation, transportation, catering, marketing, and recreation for instructors that are looking to immerse small groups (4 to 6) in their teaching and benefit from an intimate home like environment. Just beyond Habitat’s doors the wilds of the Pacific Rim National Park Reserve await. The ideal environment for foraging, paddle boarding, cycling, forest bathing, surfing, photography, biology, yoga, conservation, fishing, culinary and First Nations cultural education can all be found nearby. In the works for Spring 2018 is a classroom for 6 to 8 people that can be set up to suit your teaching needs including A/V, whiteboards, mats or eisles. Planning a retreat? Habitat can help! We can even support you with the latest tactics in email marketing and landing pages. Email us to receive a Coach’s Kick-Off and Pricing Kit. Habitat is constantly looking to host health, personal and professional development, and fitness retreats for past and future guests. Is there something you have been dying to learn? Can you imagine being surrounded by fellow students and passionate teachers in an ideal environment for learning and discovery? Please connect us with your favorite coach and sign up for our newsletter to alerted when a new retreat is announced.